At a preview of the store yesterday, Ikea's India Chief Executive Officer Peter Betzel told reporters that the company will be launching online sales in this country when it opens its second India retail store in Mumbai next year. 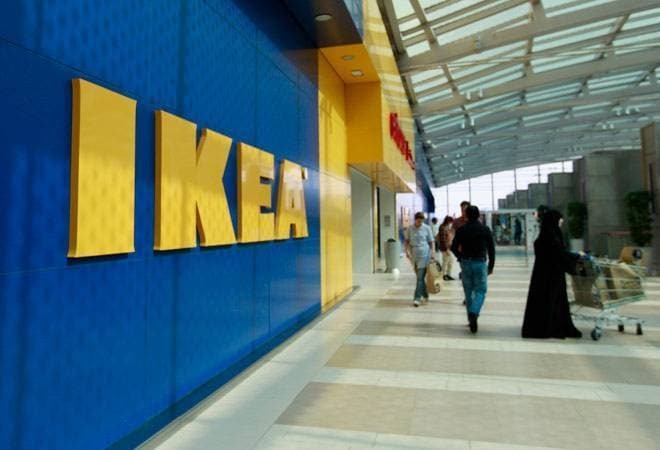 Two weeks to go before Swedish furniture giant IKEA formally launches its first store in India - a 400,000 sq ft facility spread across four floors in Hyderabad, where the company has invested a whopping Rs 1,000 crore. But online shoppers will, unfortunately have to wait till next year to get a taste. At a preview of the store yesterday, Ikea's India Chief Executive Officer Peter Betzel told reporters that the company will be launching online sales in this country when it opens its second India retail store in Mumbai next year. "As online buying in every product area is growing, it will be so in furniture segment too," said Betzel, adding that IKEA also expected the online pie in India to be bigger than the 6-7 per cent share it has been getting through etailing in a dozen countries so far. IKEA basically plans to offer online sales in cities where it can support them with fulfilment, delivery and assembling services. "We would like to start online sales to begin with from Mumbai and we are quite sure that in a couple of years we will be available for online shopping in a lot of cities," The Economic Times quoted Betzel. Apart from the online foray and the large-format stores that it has planned in peripheral areas of large cities, IKEA has one more ace up its sleeve that would make India a unique experience for the furniture giant. "We are also looking at opening multiple small format stores of 1,000-5,000 square meters each in bigger cities like Mumbai for having more touch points," said Betzel. In all, IKEA reportedly sees potential to set up large or small format stores in at least 49 Indian cities with a population of more than a million each over the years. After Mumbai, IKEA will turn its sights to Bengaluru, Delhi, Ahmedabad, Pune, Chennai and more. The buzz is that the company sent out teams to visit over 1,000 homes of varying incomes and lifestyles across India to understand what customers wanted. That is how IKEA zeroed in on the 7,500-odd products that it will make available in India. Furthermore, the Hyderabad store will see a 20 per cent local content value, which the company aims to scale up to 50 per cent eventually. The company also hopes to introduce India to better business practices and work culture. So, for instance, all the 1,000 co-workers in the Hyderabad store will reportedly work five-day weeks but the store will be open all seven days, from 9.30 in the morning till 11 in the night. The minimum wage, besides, will be double the amount mandated by the Indian government. Last week, IKEA India Deputy Country Manager Patrik Antoni had said that the company not only plans to use electric vehicles for home deliveries but will also be installing charging pods at its store in Hyderabad to encourage both employees and customers to switch to electric vehicles.